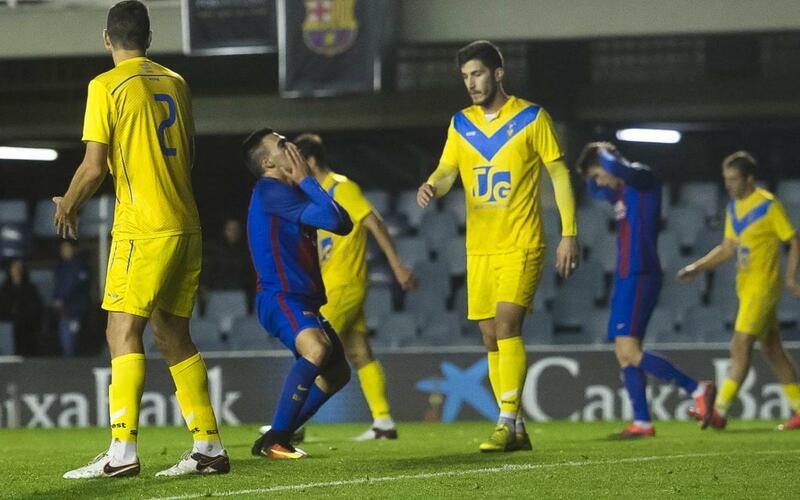 Barça B were not able to win on the night and their run of five games undefeated came to an end on a difficult night for Barça's second team. Having won four and drawn one in the last five, Gerard López's team lost to CF Badalona, who are the only undefeated side in Group 3 of Divison 2B, 3-1 at the Miniestadi. The blaugranas did not get the rub of it on the night, however, they remain in the play-off positions as they had a seven point margin over the fifth team in the table. Barça had more of the ball, had more chances and looked to be in control, they weren't as clinical as Ivan Aguda, Moha and Toni Lao were for Badalona. In the first half, the visitors managed to score from their two attempts on target and were solid in defence. The scoreline put López's men on the back foot and they created but failed to convert chances to get back into the game. Marc Carmona, chested a pass from Sergi Palencia in the 23rd minute and Dani Romera headed just wide in the 17th minute and had an acrobatic effort saved by Morales following excellent build-up play from Carmona in the 33rd minute. Also, Fali and Marlos Santos both went close in Barça's attempts to open their account for the night. Manolo González's players defended resolutely and took advantage of their chances when presented with them. Firstly, Ivan Agudo received a pass in the box and finished with aplomb before Moha, who had provided the assist, got on the scoresheet himself and gave Badalona a 2-0 lead by the 39th minute. Gerard López tried to change the outcome of the game with Perea being brought on to energise the blaugranas. However, just after Perea entered the fray Barça B suffered the final and definitive setback as Toni Lao provided the finish from a corner giving the away team a 3-0 lead in the 57th minute. Barça B never gave up and kept trying until the end. Cardona went close from a free kick and Alex Carbonell had another chance in the 67th minute. Gumbau threatened with a long distance shot and Palencia saw an effort saved by Morales. In the end, Alfara provided the assist and Romera volleyed into the net giving Barça B a consolation goal in the 86th minute meaning the game ended with a 3-1 victory for the visitors.